SOL Sessions vol. 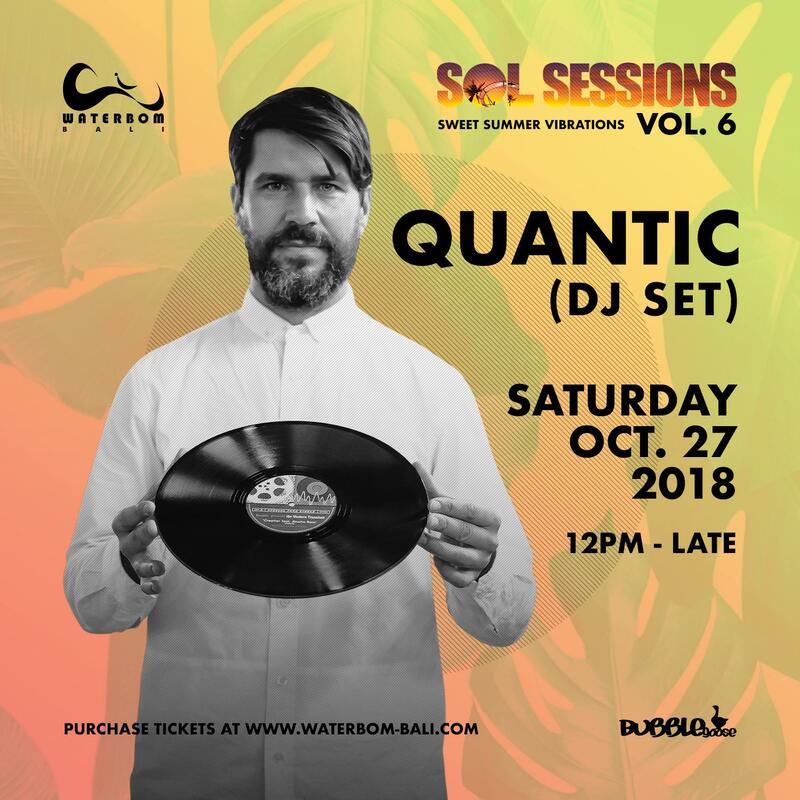 6 with Quantic - Saturday, October 27, 2018. BALI, let's dance! This time, Waterbom Bali is bringing you one of the most prolific artist in the world of alternative dance and roots music today. Lord Finesse (D.I.T.C.) and DJ Babu. Now let's get ready to witness Quantic and his rare quality and artistry that has enchanted fans and tastemakers across the world! There are 2 ticket options for SOL Sessions Vol. 6. Tickets are available on our website www.waterbom-bali.com or at the park's ticket counters. Special event ticket price: IDR 195k, includes IDR 100k of food and drink credit.